Screenshots published last week by Russian leaker Wzor suggest Microsoft is planning a few desktop friendly changes with an upcoming update to Windows 8.1. Well, that’s all but confirmed now as an early build has made its way onto torrent sites, packing several enhancements for keyboard-and-mouse users. According to a report by The Verge, the most obvious change is a small title bar for Microsoft’s Windows 8-style apps with options to close, minimize, and snap apps side-by-side using the mouse. The Start screen also sees a few minor yet welcome improvements. Among them are new context menus with options to resize, unpin, and more when right-clicking on Live Tiles, while search and shutdown buttons have been added right onto the Start screen to let users more easily find those options. Other changes include a control panel link into the PC settings section, and the option to show Windows Store apps alongside desktop apps in the task bar -- complete with previewing on hover. This means you can launch Metro apps like you would any other app without going to the Metro UI first. Interestingly, The Verge notes that if you activate a Metro app from the desktop then the task bar remains on top of the app until you start interacting with it. It’s not clear if this is by design or a bug since you can’t activate the task bar after launching a Metro app. The report makes no mention on whether boot to desktop is now activated by default instead of being opt-in, as it’s been since the release of Windows 8.1 in January. This has been rumored in recent days and would be an interesting reversal for Microsoft. In the same vein, Microsoft is reportedly considering bringing back the full start menu in future updates, along with the ability to run Metro apps in windows on the desktop. 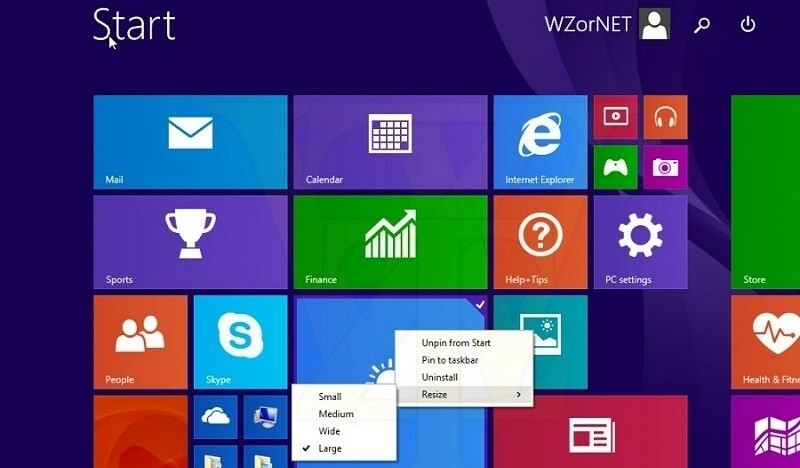 In the meantime you can look forward to Windows 8.1 Update 1 arriving on March 11th, according to rumors. We may see a few other changes too as the leaked build was compiled around three weeks ago on January 14th.